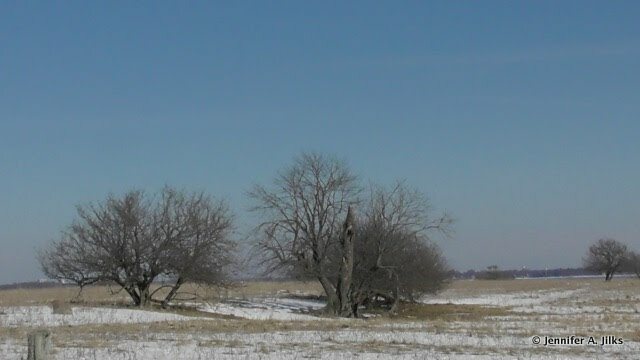 We've often visited Wolfe Island to spot some owls, Topsy Farm said they had over 20 snowy owls on Amherst Island, nearby. 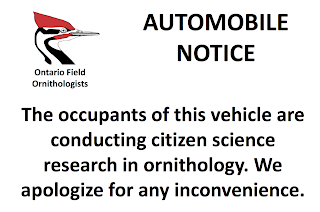 Now, normally, ethical birders do not give away the location of owls, but this is fairly common knowledge. 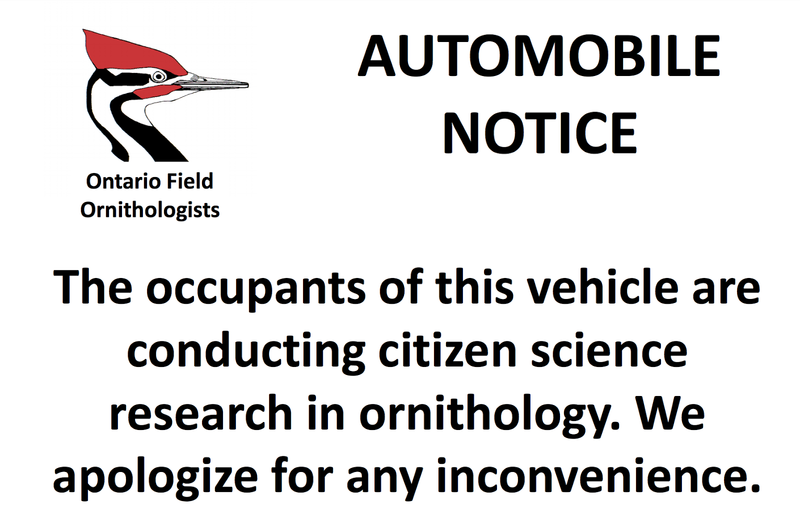 Sadly, birders on Amherst Isl. can be thoughtless and reckless, this is what I have heard from residents and fellow birders. Unlike Wolfe Isl., there are no businesses in winter, other than Topsy Farm. 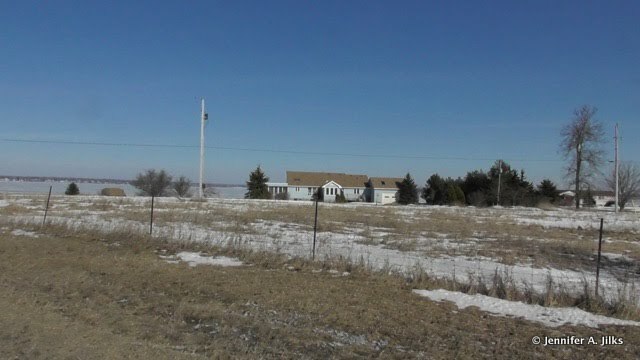 There are just residents, farmers, and construction workers (Wind Farm Construction) for the wind farm. The Migratory Convention Bird Act (1994), an agreement across North America, says we're not to kill, harass, or bother the birds in any way. This covers owl baiting, and handling critters. Sadly, there are those who hunt down owls, trespassing, and interfering with their feeding habits. Ferry across to Amherst Isl. This is what we can attest to on Friday, Jan. 26th. 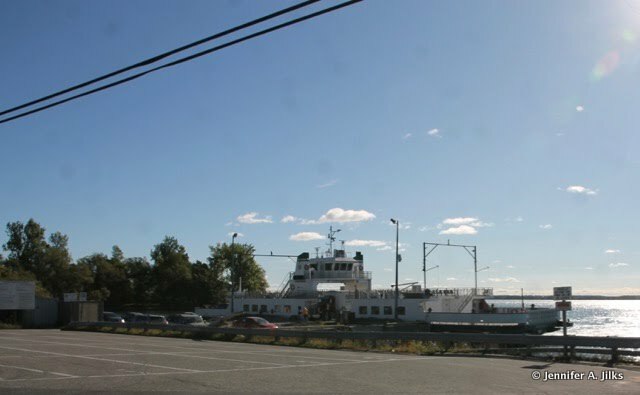 We got onto the ferry, and took off to Amherst Isl., the guy working on the ferry boat told us that the owls have been on the ice in the morning. On the ferry we met two birders. This pair had driven down from Ottawa, to photograph owls. We chatted. Later on, I was furious. 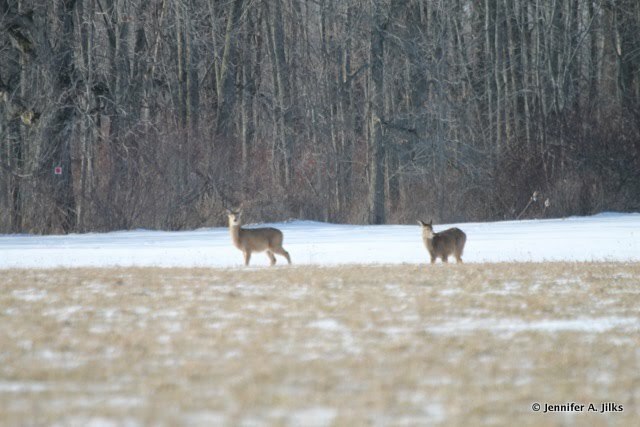 We passed them a couple of times. The 2nd time, we stopped to chat as they asked us if we'd seen any. We had not. They'd spotted two, they told us they'd seen the first one by a particular house, and had walked into the field to find a rabbit warren (trespassing). Prime hunting for the owl. They obviously chased the owl off, as they are conscious of photographers. Next, they were going to walk on owl road. I saw two cars parked, and obviously there were people walking along this road looking for birds. Scientists know that studying something changes it. Even if they were collecting data for eBird, they are changing the behaviour of the birds. Even in educated groups, people are stupid. Imagine large groups on owl road, an area replanted by the landowners to encourage the birds. I had a research question: how many are visiting each weekend? How many tour leaders are visiting these locations? 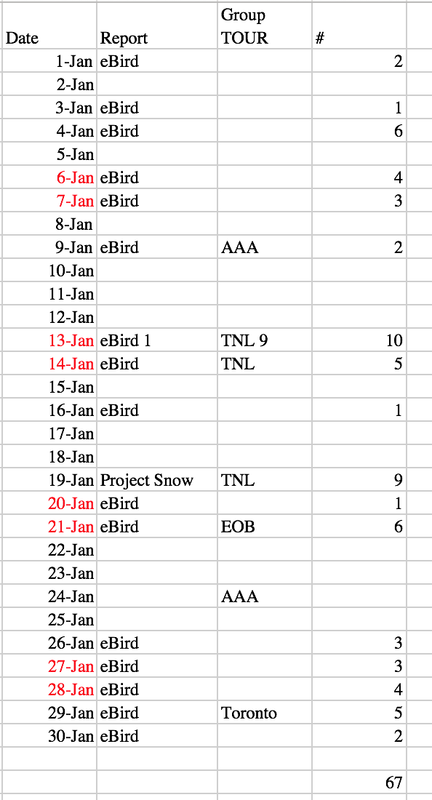 I did some research from Ontario Field Ornithologists eBird reports, as well as MeetUps.com, as well as other birding tour guides. 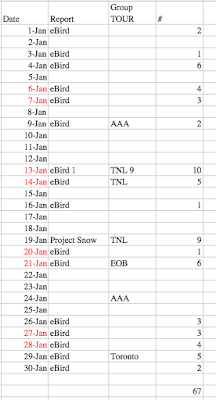 For January I managed to determine that there were 67 reports. 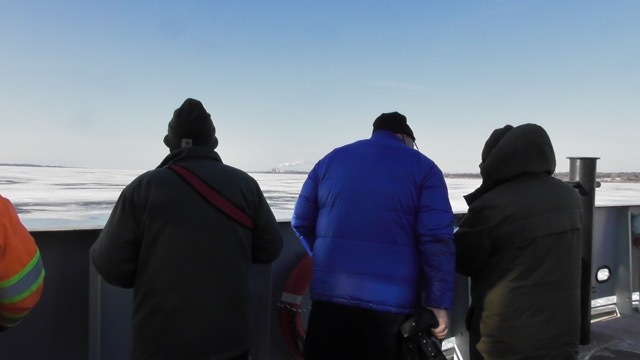 Islanders report up to 100 birders on a weekend. This is the tip of the iceberg. I think that this area should be regulated. Someone needs to collect some data and figure out who is going there. Some sort of sign-in. The reserve is open only from sunrise to one hour before sunset. Do not spend more then two hours in the reserve per day. Absolutely no dogs are allowed. Keep a minimum distance of five metres from owls. Be silent; speak in whispers. Do not linger in front of an owl more than a couple of minutes. If you cause an owl to fly, do not pursue it. Do not bait owls with rodents. Do not remove branches or vegetation. Stay on the existing trails. Persons entering roped-off areas will be prosecuted. Report harassment of owls to 1-877-TIPS-MNR (847-7667). 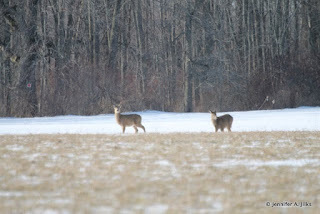 Sunday, February 4: *Amherst Island Trip Report , another trip planned. I am not a bird watcher in the sense of having a lifetime list and all that but I would have thought that anyone who had that hobby would be super respectful of and sensitive to the ways of Nature. I should have known better! I would say to people: leave the birds alone; find yourselves another hobby, another topic of interest. Birds ,animals, and other God-made creatures have the right to live peacefully, without visitors and photo flash. Of course, if birds do damage, then by all means the matter has to be studied, to find solutions. There are birds that damage power lines, plane wings, and this requires human intervention. I think for those who are really serious "birders" they would understand the practices, and keep their distance, keep quiet, avoid areas where the owls look for food, and behave as any good and respectable photographer should. others do not have the idea of a principle that should prevail. Do they pay a levy or fee to be there? What a wonderful story behind the link to Owl Road. I'm not sure how big this island is? Yes, there are many thoughtless birders who are overly aggressive in trying to get heir photo. they don't care about other people or the critters. That is bothersome. I agree with you. Again ~ another informative post and good to know ~ am not a birder but great info! Thanks, too for visiting my blog ^_^ and commenting. That is not good. I'm with you. I hope they know when to keep their distance. Gosh - that is a huge influx of visitors just to see the owls! It happens just the same over here Jen. We don't have Snowy Owls but most owls are now targetes for birders and toggers. "Toggers" are people who have no real interest in birds just photography. It's all become a huge problem. What ever happened to the notion that a bird's welfare is the most important consideration? They don't pay a fee at all. That might make them space themselves out. I don't know how locals can be so friendly!!!! troutbirder, I am totally shocked. How can drowning be humane? You couldn't have simply taken down your bird feeders? I am always amazed at the arrogance of those who think feeding birds is a human right. I shall not visit your blog again. This is criminal.